As far as I know, this program does not support the launch with parameters. Also I need to somehow kill the old copies of the program. erik945 wrote: Yes I know that. For example, I need a weapons. I choose all drm with mask "wp_*", copy them to a separate folder, and treat this whole folder. Each DRM where there is mesh, a lot of "garbage"...)) Only 16 data types, but for each type in the container from 10 to 200 resources. Of them 60% of have duplicates in any container DRM. 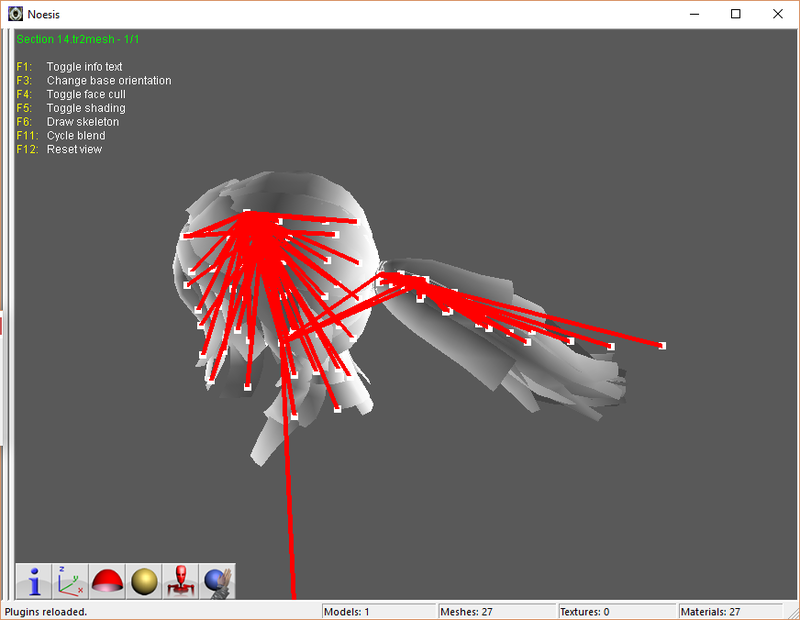 To find which mesh ,the desired object - the weapon automatically fail. There is no logic there...)))to You for weapons, you need 10 textures. 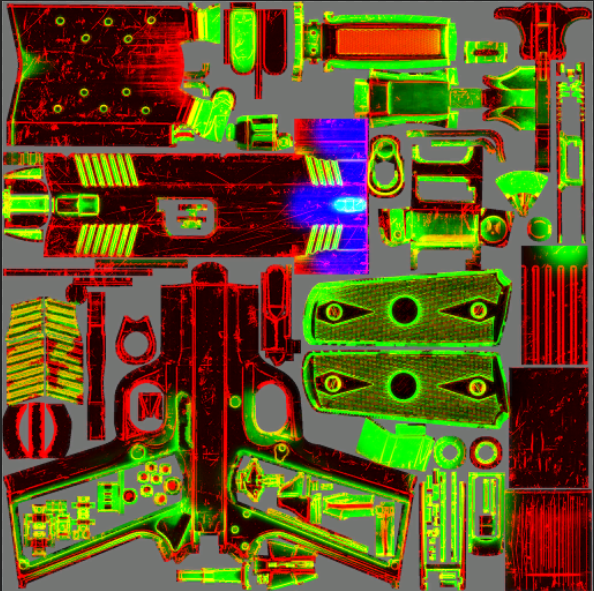 Objects dependent on the material, dependent textures, etc. It's most likely just a texture patch through an external application, nothing special really. You're still working on it ? Ekey wrote: Maybe in animation files? btw you have simple block with skeleton from older version? Bones start at 0x19EFC0 Each bone sized 0x40 till the end of the file. I originally thought the same about the Skeleton being stored in animation files. Recent findings make me suspect otherwise. 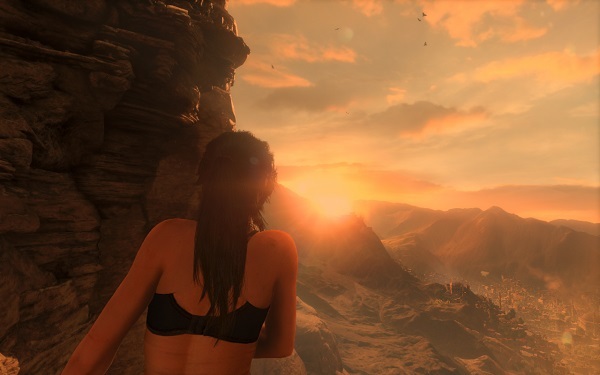 I extracted Lara's hair (xenon-hair.drm) From Rise of the Tomb Raider (PC). The model should have a skeleton yet there are no animation files. I have seen some data ressembling a skeleton in DTP files but loading them results in nothing usable. I'll take another look at that. Now we just need a way of identifying them since they are stored in DTP files. @EKey see "Section 16.dtp" Perhaps first uint "0x6" is a type meaning skeleton. 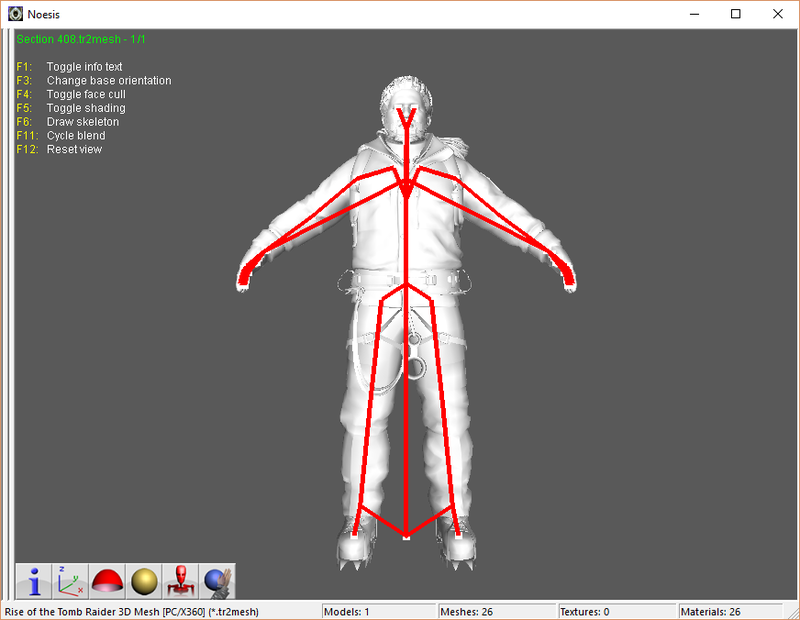 If there is a hash name referencing the skeleton in the mesh file that would be useful. I can't check unless original hash names for sections are known. Confirming that DTP files with the first integer as "0x6" are skeleton files. @Ekey could you have your unpacker rename those file's extension to ".skl" it would make it easier to identify them. Cheers! Hi any chance we can get animation too? Is there any way to run DRMdumer in command line? I want to extract all drm from a folder . for %%a in (*.DRM) do YOUR_PROGRAM "%%a" "OUTFOLDER\%%a"
Plus, it's missing any UV map. Is there something I'm doing wrong? It is explained in the DXMD thread aswell that this file isn't exactly a usual mesh. The mesh includes vertex data to calculate curves. 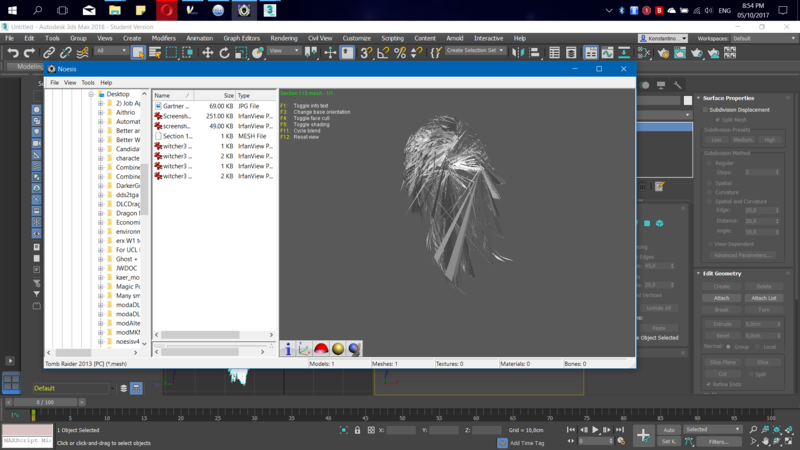 Any scripts that treat it as a usual mesh interpret it wrongly, that is why you get that mess. sorry to bother you, but does anyone have an updated version of the filelist? It seems this one has gone under since. This topic seems dead. Is it progressing somewhere else, or is it kill? I guess, the truth is, I came here looking for a way to fix a game that doesn't deserve to be fixed.